All of these winter snowstorms have got us going crazy for winter boots and there's even more snow expected to come into our area tomorrow! In the search for a great boot, we're torn between fashion and function, especially when we think how we'll be navigating the snowy channels on our way to work. The trick is, of course, finding a boot that is practical, warm, but still looks good. While we haven't found "the perfect boot," we have found a number of boots that will suit your needs. Take a look below! 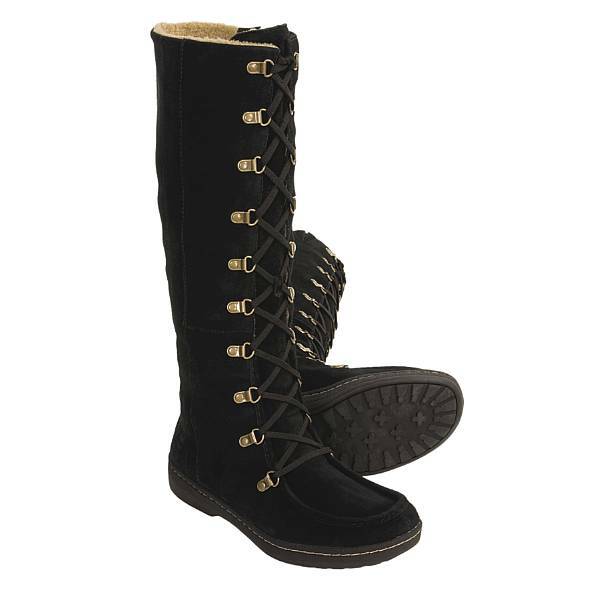 We are huge fans of of the Sorel Tivoli boot, which looks like a hybrid of a rain boot and snow boot. 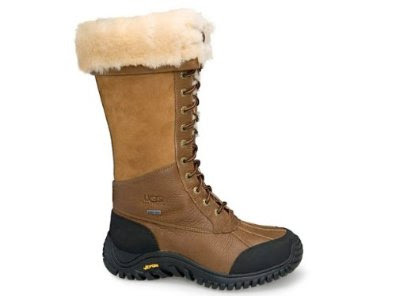 It's waterproof, with great traction and fur lining... what else can you want in a winter boot? We especially love the plaid pattern, and think this is the perfect casual boot for a girl with a fun sense of style. 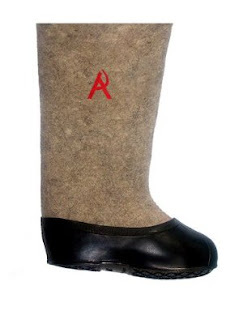 No discussion of serious winter boots can go without a shout out to the famous Russian Valenki boots. While not the most gorgeous choice out there, they will keep your feet warm and dry. They come with removable galoshes, which they suggest you wear if the snow is more slush than powder. Made of 100% wool, these boots actually form to fit your feet, which is very Back to the Future Part II. You know these are the real deal... those Russians don't mess around when it comes to the snow. 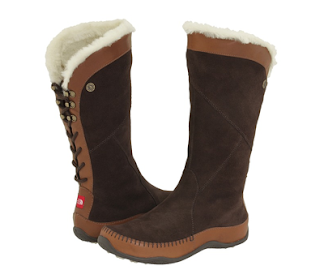 Another more "serious" winter boot are the Janey boots by Northface. Like the Valenki boots, they come equipped for slush with a rubber sole. They are also water proof, have a faux fur lining, and are made from recycled materials. We also love the side laces... très chic. Wearing hot pink never looks serious but, kid you not, this is a serious winter boot. 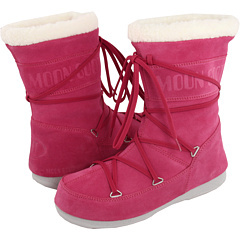 Moon Boots are a a ski fashion staple and are super warm, waterproof, and incredibly lightweight. When you slip them on, you feel like you're walking on air... or perhaps the moon. They come in an array of colors and styles, but are known for their rounded, oversized shape. Back in 1996, Timberland boots were all the rage. Best known for their iconic yellow work boots, Timberland boots dominated hip hop fashion in the 1990s, but have since faded out of the cultural mainstream. You still see them around nowadays, but what many people don't realize is that the company offers so many different styles, such as this winter lace-up boot. 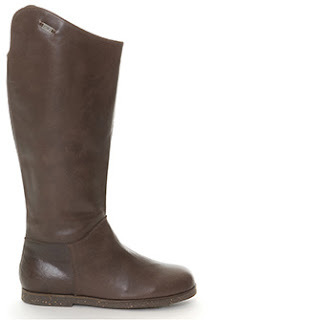 With a rubber sole and fleece lining, this boot is perfect for the winter and is very sleek and stylish. One word of caution: that many laces can be a huge pain in the winter if you have frozen fingers. But we're a huge fan of lace-ups, so we'll take it! 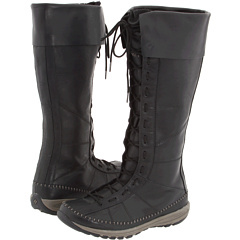 Another tall, lace-up boot we love is the Winter Transit boot by Columbia. To us, this is the embodiment of urban winter footwear. It's fashionable, sleek, subtle, and practical, which is exactly what you need this winter. 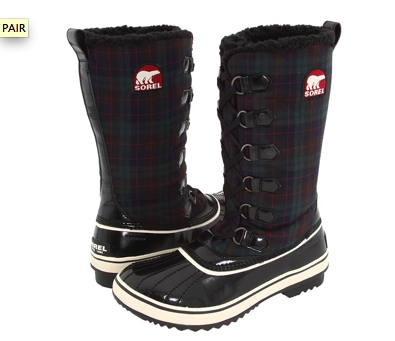 It's waterproof, with faux fur lining and a rubber sole for extra traction. It sort of reminds us of something that Russian soldiers would march in in the war against Napoleon... and we know how well that turned out! Meet the Ugg boot's greatest rival... the Emu boot. Also made in Australia with sheepskin lining, the Emu boot gets a lot of comparisons to the famous Aussie brand, and is currently facing a law suit from the company. If you check out their website, you'll definitely see the similarity, but this Armadale boot is a different style, and we're really liking the look of it. It looks more equestrian than the typical Ugg boot, is covered in leather rather than suede, and has an interesting top shape. The classic Ugg boot is the most popular winter boot around. While we were haters of the boot a few years ago, we've come around after actually trying them on. They are incredibly warn and comfortable, and are seriously perfect for a cold winter night. But when it snows or rains, you're in trouble, because the boot isn't waterproof, leaving you with wet feet and stained suede. So if you want a serious winter boot, but love the warmth of Uggs, try the Adirondack boot by Uggs. We're partial to the camel color, although it's also available in dark brown and black. The boot is waterproof with extra traction and, of course, the Ugg staple -sheepskin lining throughout. Here's to walking in a winter wonderland!